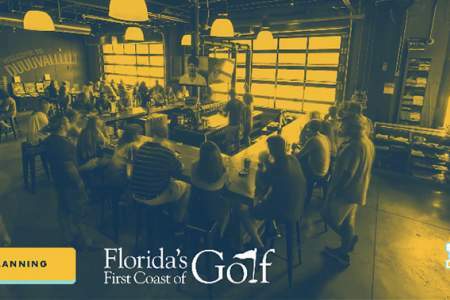 Whether you’re looking to experience top golfing events or want to schedule some time on the course, here’s a look at Northeast Florida’s upcoming events. Ready to learn how to play golf? 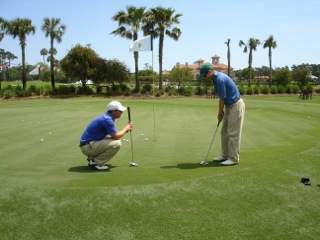 Read Florida’s First Coast of Golf’s blog for a beginner’s guide with tips on how to begin learning the game. 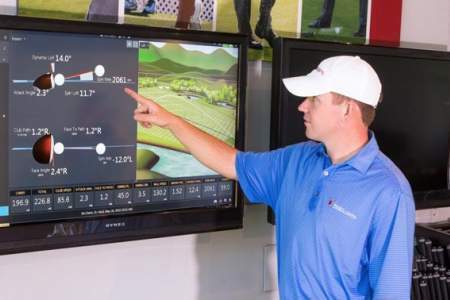 Is a golf school right for players of all skill levels? Is it right for you? 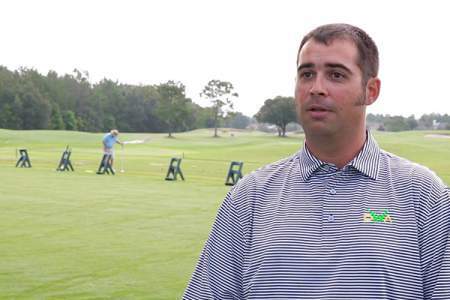 Here’s what you need to know about attending a golf school in Northeast Florida. 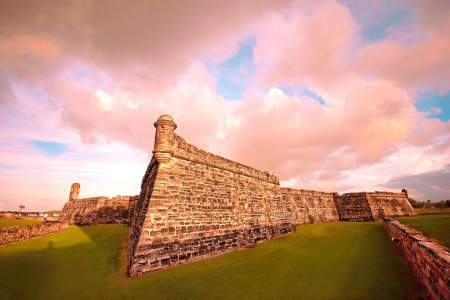 There’s no better time to visit Florida’s First Coast than the springtime. Here’s a look at more reasons why you should plan your visit this season. Beer lovers, rejoice! 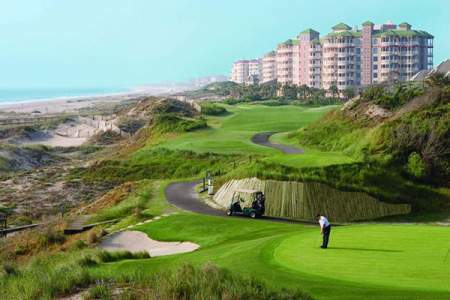 With over 75 miles of world-class golf courses and a beer scene that’s brewing up faster than it takes the head to settle on a cold one, a vacation to Florida’s First Coast is sure not to disappoint. 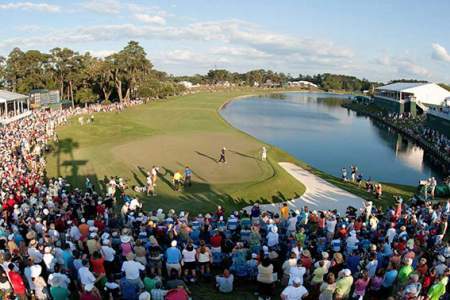 THE PLAYERS returns May 8-13, 2018 to Northeast Florida. 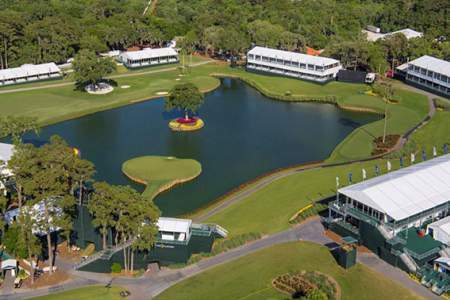 Check out our travel guide to make the most of your time at this year’s tournament. Read the blog. 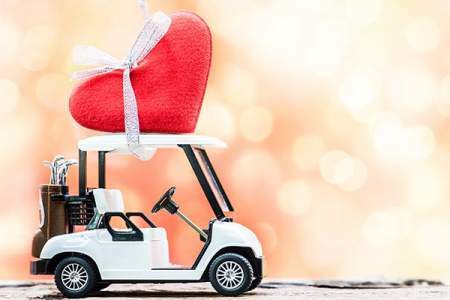 Looking for some Valentine's Day gift ideas for your favorite golfer? 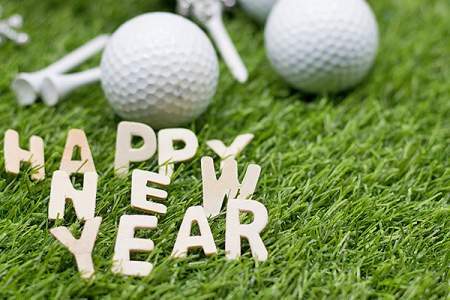 Read our blog for the top golf gift ideas this year. 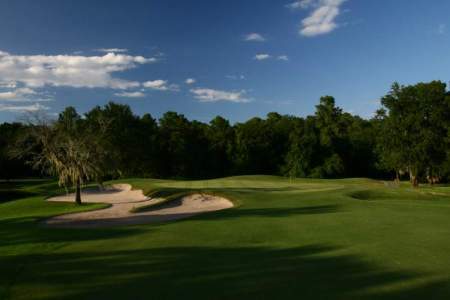 Located at one of the highest elevations in Jacksonville, FL and being an Arnold Palmer signature designed course, Hidden Hills has an impressive history. 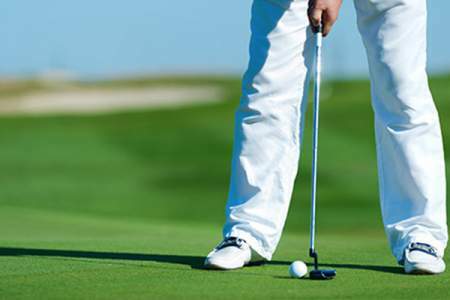 How do you improve your golf game? 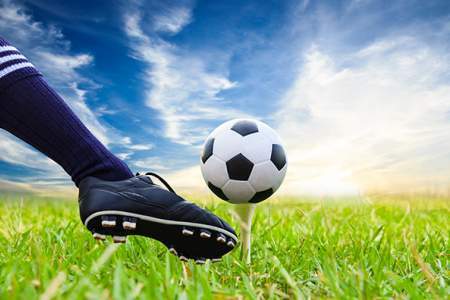 What clubs should you work with to help you improve? 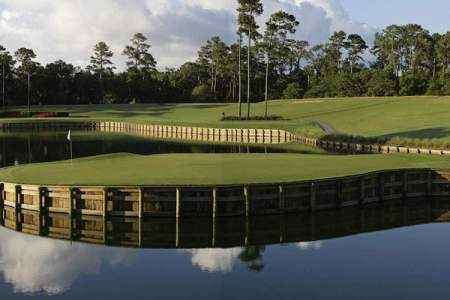 What Northeast Florida holes are pro favorites and which ones should you be playing? One of the nation’s top ranked golf instructors, Anne Cain of PGA Tour Golf Academy at World Golf Village, answers these questions and more. 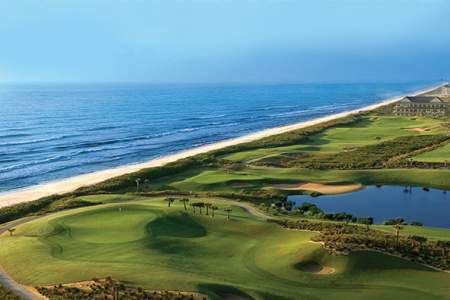 How do you make your golf vacation to the Golf Destination of the Year even better? 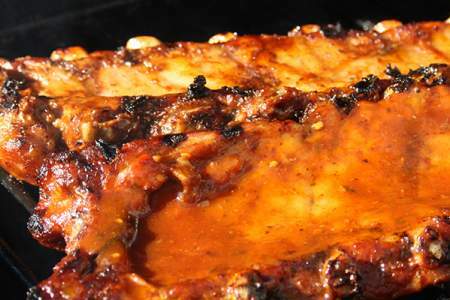 Add a little pigskin. Attention lefties! We thought we’d gather some of the top tips and videos for left-handed golfers, and put them in one place for you. It can already be challenging enough to live in a world catered to the right-handed, (does anyone else hear a violin?) so, we thought we’d make things a little easier for you. 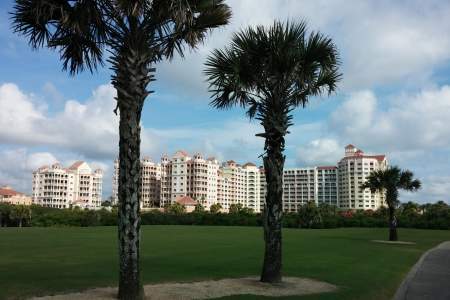 Ocean Course at Hammock Beach Resort has undergone updates and restoration work and is set to open Fall of 2017. Read about the updates and more on our blog. FFCG hit the quarter century mark in 2017, making its 25th Anniversary the silver summit for the long list of accomplishments that this premier golf destination has achieved over the years. Earlier this year, we were voted the 2017 “North American Golf Destination of the Year”. 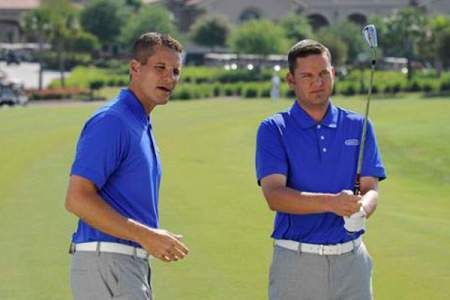 Here’s a look at how to maintain proper golf fitness a part of your routine to help improve your skills and overall game. 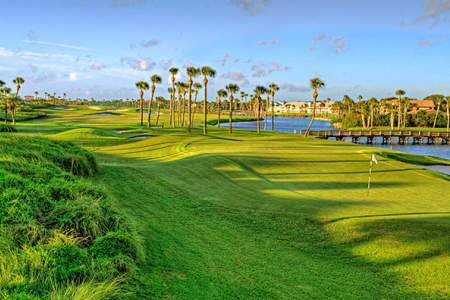 Florida’s First Coast is filled with golf holes for both beginners and seasoned golfers. 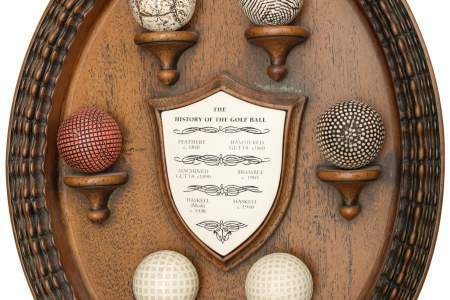 Book a tee time and add these to your must-play list. 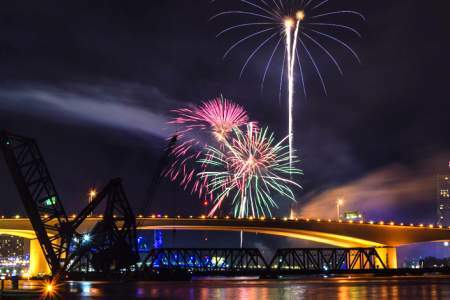 This 4th of July take advantage of Northeast Florida’s golf courses and accommodations with this helpful itinerary. 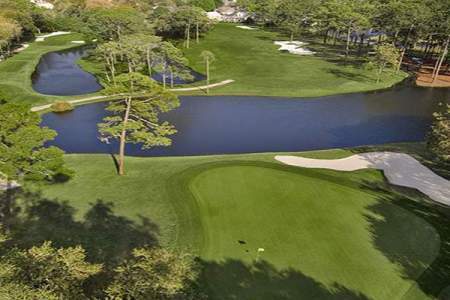 See where to tee off, stay and more! 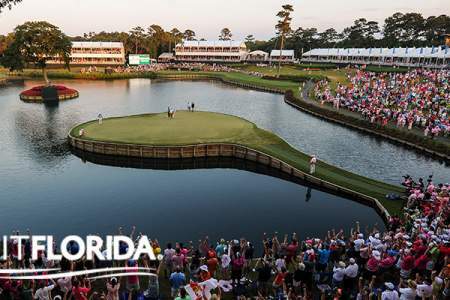 While THE PLAYERS Championship is known for its iconic 17th island green hole, don’t underestimate the rest of the course – it has seen its fair share of special moments too. 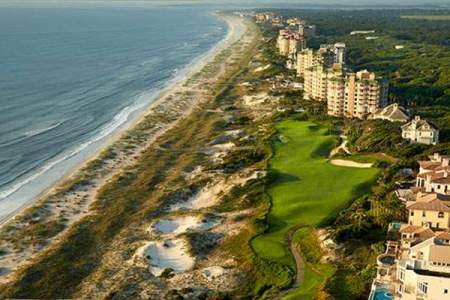 Ready to start planning your next golf vacation to Florida’s First Coast? 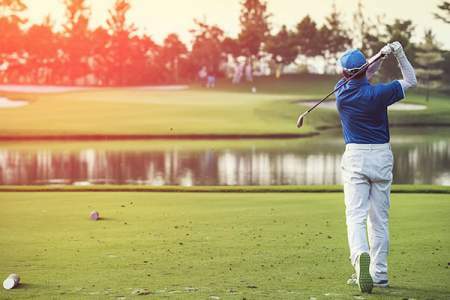 From choosing the right accommodations to booking those important tee times, going on vacation involves a bit of planning, but don’t let that keep you from maximizing your time on the golf course. 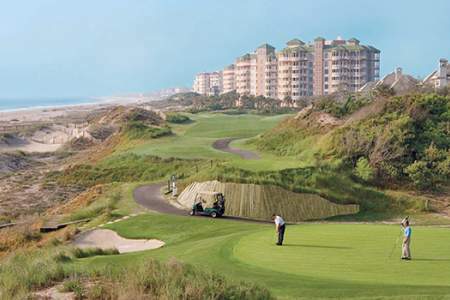 Experience some of the area’s best golf courses and take part in one of Amelia Island’s most celebrated festivals when you visit Florida’s First Coast. Have a buddy getting married soon? 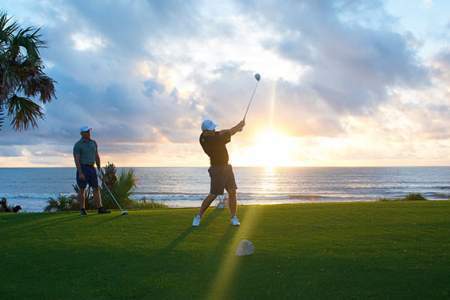 Take charge and make his bachelor party an event to remember – with plenty of golf and sunshine along Florida’s First Coast. 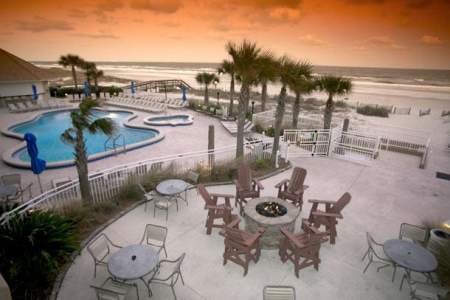 Florida’s First Coast offers lodging options from golf resorts to beachfront hotels, and includes convenient golf packages so you can get the most out of your golf getaway. 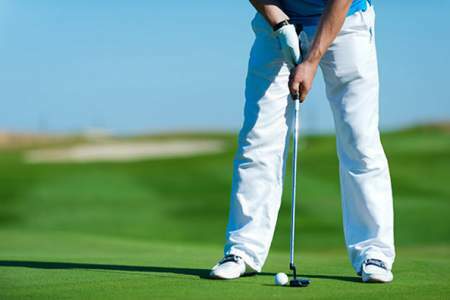 The temperatures are rising and it is time to get your golf game back in gear. Spring is the perfect time for new beginnings – on and off the golf course. 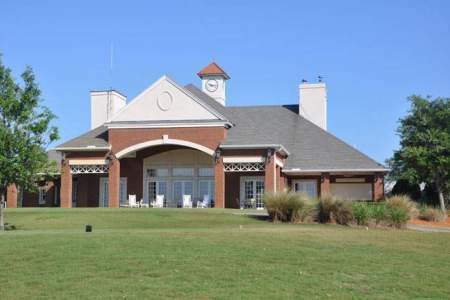 Known as one of Northeast Florida’s premier golf courses, Jacksonville’s Hidden Hills Golf Club is now open to the general public. Let’s do a little word association: Sunshine: Florida. 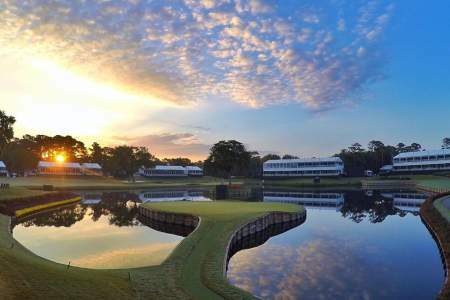 Golf: Florida. Seafood: Florida. 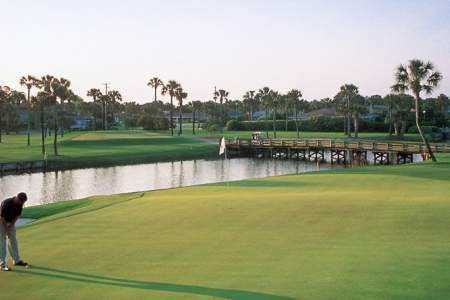 It’s hard to not to think of Florida when sunshine, golf and seafood are mentioned. 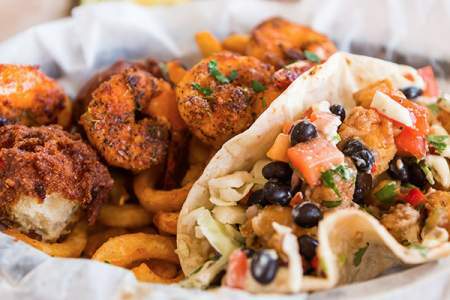 So we’ve dedicated this article to some of our favorite seafood restaurants throughout Florida’s First Coast. Fellas don’t fret. 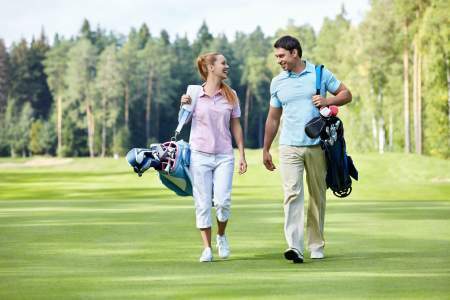 There’s no reason you can’t enjoy a golf getaway and make it romantic for your loved one as well. 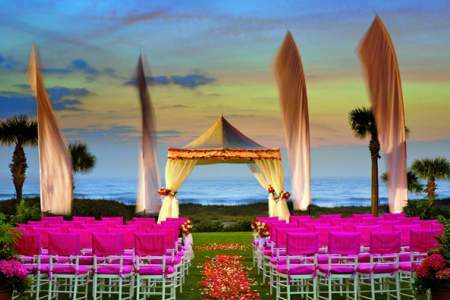 We’ve come up with a few ways to add a little romance to your golf getaway, making it a win-win for everyone. Keep Your Golf Game From Getting Cold this Fall and Winter. In Northeast Florida, fall and winter don’t seem to grab us by the golf balls quite as hard as they do in other destinations. 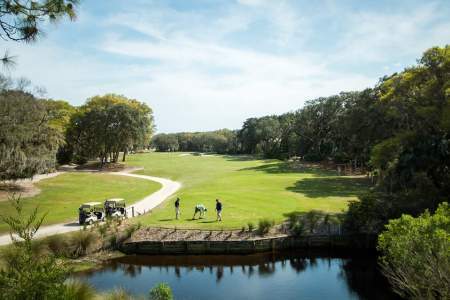 During these seasons, it’s the perfect time to get out on the course along Florida’s First Coast. 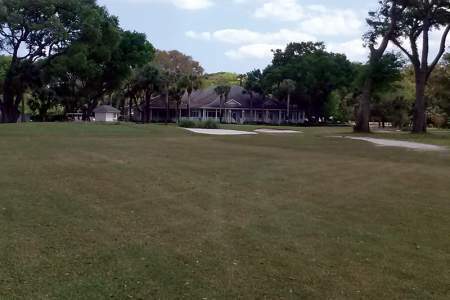 Pros, amateurs and enthusiasts alike have been anticipating one of Ponte Vedra’s most ambitious renovation projects this year. 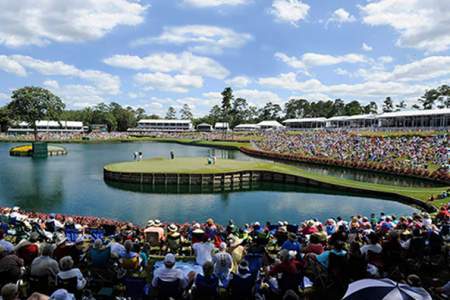 The newly renovated Stadium Course at TPC Sawgrass, which had been temporarily closed (prior to Hurricane Matthew) for enhancements and modifications, is once more opened. 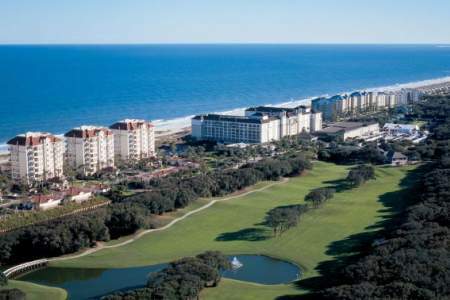 Combining your First Coast golf getaway with a family trip? 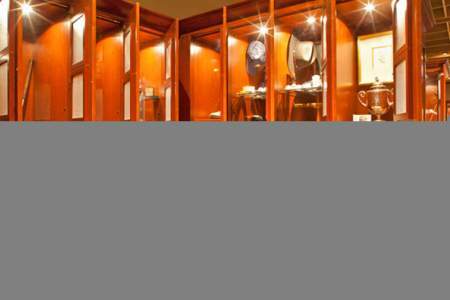 Here is a short list of off-the-course offerings for the whole family. 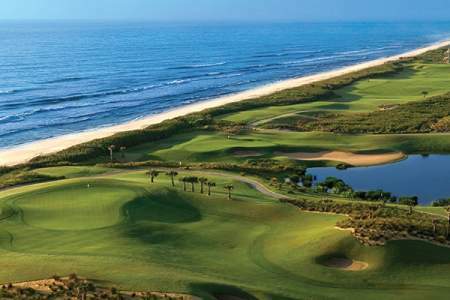 In 2017 Florida’s First Coast of Golf will hit the quarter century mark, boasting a prestigious new award to be added to the list of accolades received by this premier golf destination. Not everyone braves the winter elements with icy noses, numb fingers and layer upon layer of thick clothing. 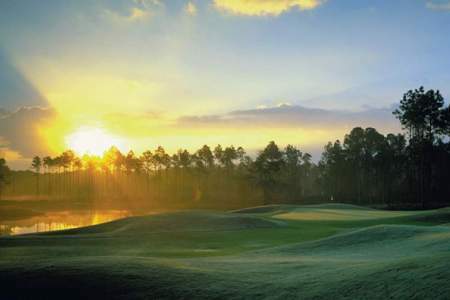 Here in Florida, we welcome the winter elements and see this season as a chance to beat the crowds and explore the beautiful golf courses that our Sunshine State has to offer. Looking for a place to thaw out and experience world-class golfing? 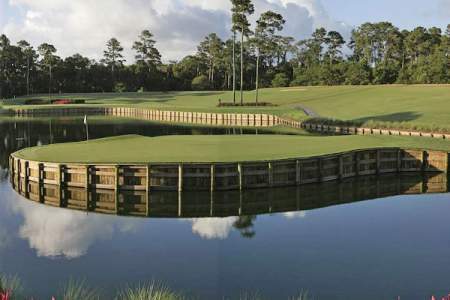 Here are 5 winter warmer golf trip ideas in North Florida. "I'm just a fellow who's been playing golf as well as he could for as long as he could and still loves the game." 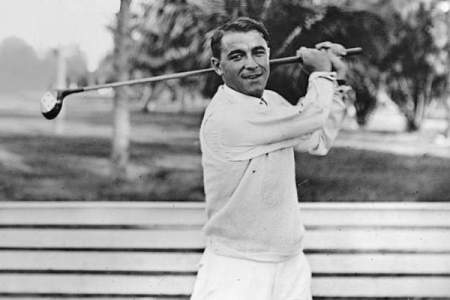 – Gene Sarazen, “Champion’s Story” What Gene “The Squire” Sarazen brought to the game of golf is immeasurable, and the legacy that he left behind remains immortalized to this day - Eugenio Saraceni (1902-1999). Golf. Is. Life. However, golf is not edible. 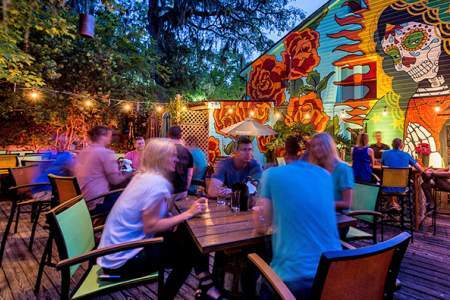 For the edible aspects of life, here’s a list of the best places to eat off the course in Palm Coast & Flagler County. When it comes to Ryan Moore, a conventional swing does not exist… and that’s why it works for the 33-year-old pro golfer. With an impressive PGA Tour career and four top-15s in majors, Moore is embracing his ‘imperfections’ and doing quite well in the process. We bid farewell to “The King”, the legend, Arnold “Arnie” Palmer (September 10, 1929 – September 25, 2016). 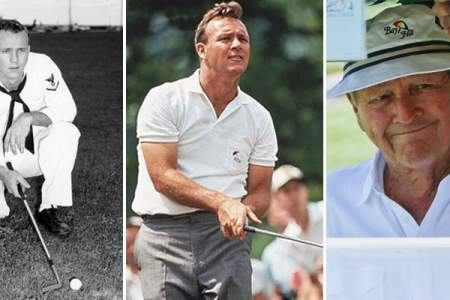 The legendary pro golfer was one of the most admired men in the sport of golf, elevating the game to what it is today and building his “Army” all the while. Palmer was a lot of things, to a lot people… a list too long to try and sum up. Hey! What About North Florida? I stumbled across an interesting article today that I found quite surprising. 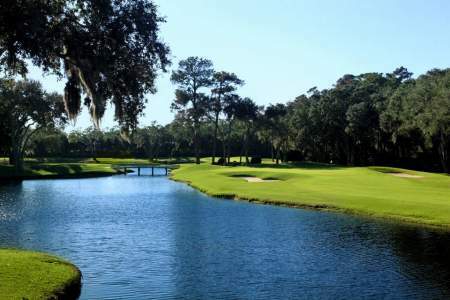 Canadian Golf Magazine had identified the “5 Best Bang for Your Buck Golf Trips” and had failed to mention North Florida to their Canadian readers! 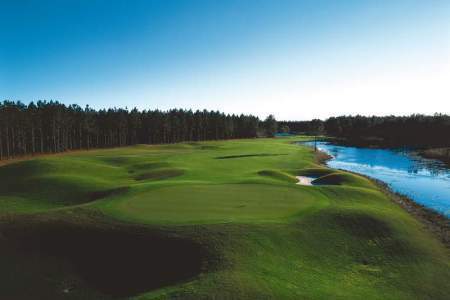 Here are five reasons why North Florida is Canada’s Best Bang for Your Buck Golf Trip. 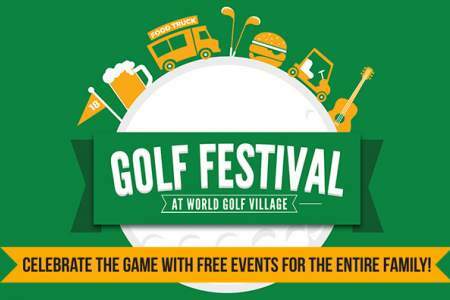 Who’s going to the Golf Festival at World Golf Village? Don’t miss out! 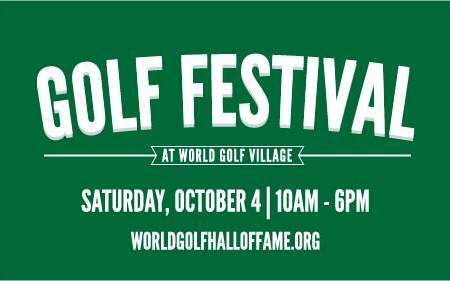 World Golf Village has a really fun event coming up for the whole family! 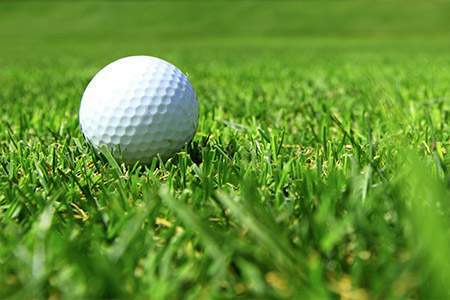 The Golf Festival will include free golf clinics, tournaments, food trucks, live music and more! 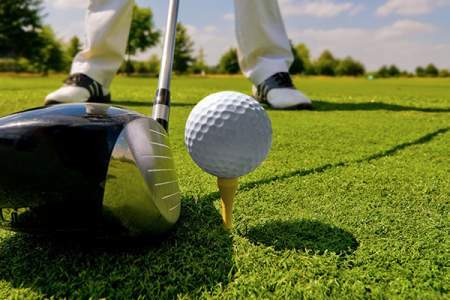 Are you looking for a new activity to mix up your golf weekend? Mix the competitive dynamic of golf with a less competitive, but just as exciting scavenger hunt! 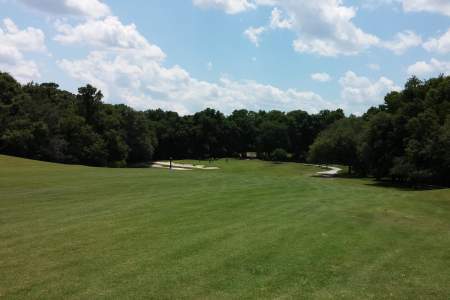 Golf and Geocache your way across North Florida, or pick one smaller stomping ground and conquer all the caches near a single course! 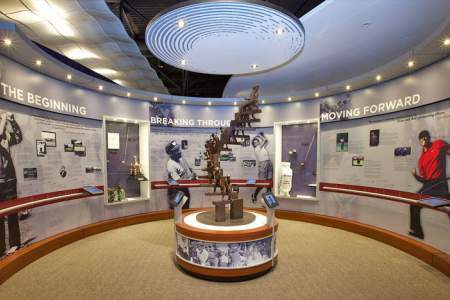 My family weekend in St. Augustine was incredible and I’m eager to share our experience at the World Golf Hall of Fame because I don’t want First Coast Golf fans to miss out! 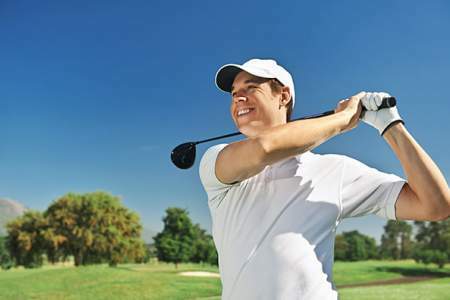 It’s incredible how much you can improve your swing with just a few minor exercises on a regular basis. However, when you focus on head-to-toe physical improvement, you will step on the course feeling unstoppable. Let’s get one thing straight -- This is my humble opinion. 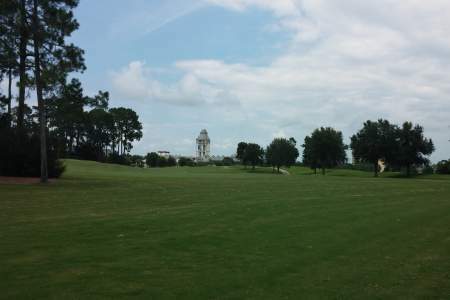 I have played every course in North Florida and I am a huge North Florida golf enthusiast. These three courses are my “go tos” for when it’s time to step up my game. I usually play all three of these back to back before tournaments because they help me identify my weaknesses. Apparently, I had one too many before my Saturday game last week and my wife told me that I needed to brush up on my golf etiquette before I can play this weekend. I know, I know… boardshorts are not appropriate for the course, but I had just spent the morning on Fernandina Beach and forgot my khaki slacks. Hey - at least they were Chubbies, right?! 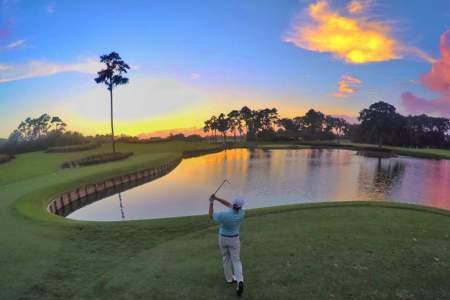 When you’re a golf-enthusiast that lives and plays on Florida’s First Coast, your world is a lot bigger than say, a golf-enthusiast in practically any other part of the world. There are a lot of places to play and enjoy! But alas, I have realized that in some of my previous posts, I have been a little biased to places that are nearer to me. For this post however, I am going to keep in mind that with a car packed full of kids, you need to head somewhere that’s close by and family-friendly. So the following list is broken down by different regions of North Florida. Find a spot closest to your home, or to the hotel or resort you are staying in for your vacation, and check out the family golf fun nearby! If there is one thing I’ve learned, it’s choking on chip shots will completely kill your score, but it happens all the time. Dave Pelz even enjoys his stories of teaching Mickelson how to overcome choking on some of the most basic and straightforward chip shots. 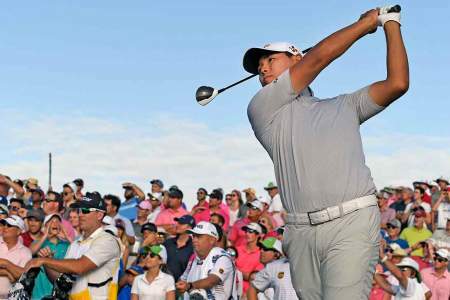 But these shots were severely affecting his short game and at times, causing him to fall just short of winning majors. The primary issue, as Pelz would explain, is that players will not believe they can make the shot, so they sacrifice a couple strokes. This shouldn’t be the case. You should believe that you can make your chip shots, so I have developed a mental checklist to keep in mind when you approach your next chip shot. These should severely improve your short game. 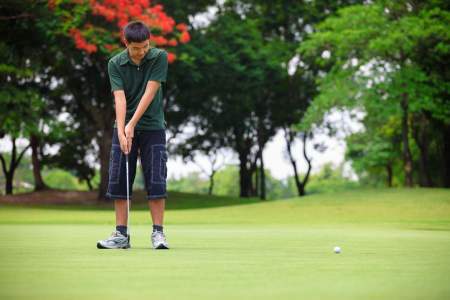 Holidays for families who love golf can sometimes become a bit of a dance between spending your entire extra weekend day on the course and spending time with the kids and other members who may or may not be quite as interested as you are in improving your golf swing. I want to start off this article by saying one important thing: I was not paid or persuaded in any way to offer you these recommendations. I simply play golf every weekend in the summer in North Florida (Jacksonville to be specific) and I think there are certain accessories that I just could not live without. There are a gazillion articles out there that tell you what you will need to play golf in cold weather, but few offer honest reviews of the important ‘must haves’ for warm weather. Too many snow birds show up completely unprepared, with their tightly knit cotton polos, cold weather golf balls, and thick socks. They play terribly because they feel miserable. 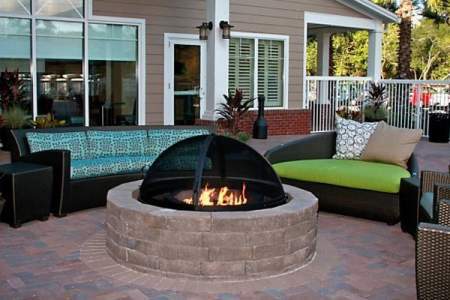 Come enjoy the warm weather, but be prepared! 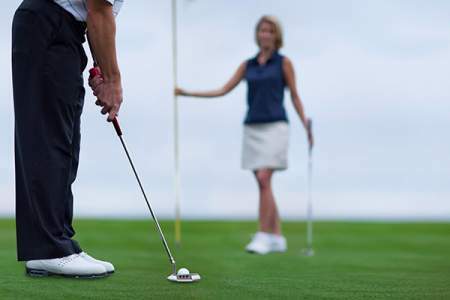 If you have been playing golf for a while, some of this advice may seem elementary, but I honestly cannot tell you how many times I need to refresh myself with these stupid-simple tips so I don’t slip into my old bad habits. 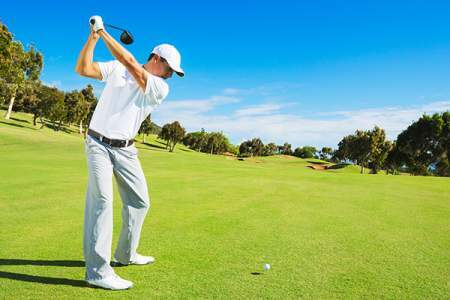 Golf is all about fine-tuning your swing, but if you are skipping the basics, the fine-tuning is pointless. So do yourself a favor and commit a little time during the week to spend at the range, where you can focus on maintaining and improving your swing in a more structured setting. It’s kind of like going to the gym every day to stay fit, only not daunting…and way more fun. Need a Weekend Golf Deal? 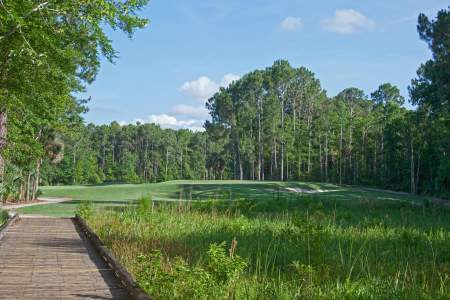 Named for two legends of the game, Sam Snead and Gene Sarazen, the Slammer and Squire plays a little shorter than its King and Bear counterpart. 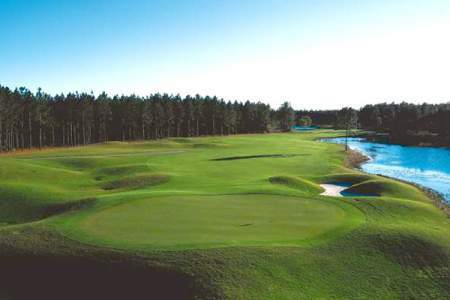 At 6,939 yards from the stone tees, the course challenges players with club selection and course management, while also rewarding aggressive shots. This all day festival will celebrate everything we adore about the world's greatest sport. When it comes to giving time and help to young people, The First Tee uses the game of golf to introduce and teach life-skills. 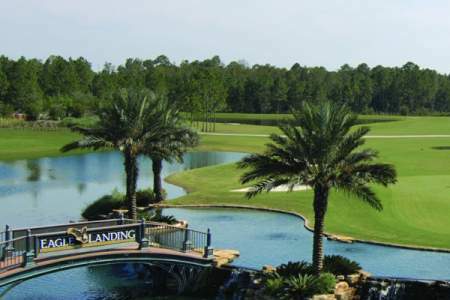 When you combine the Rees Jones Course and the Hills Course, LPGA International is a great destination for those looking for that memorable golf vacation. Each course has its own character and challenges that give great variety for one venue. 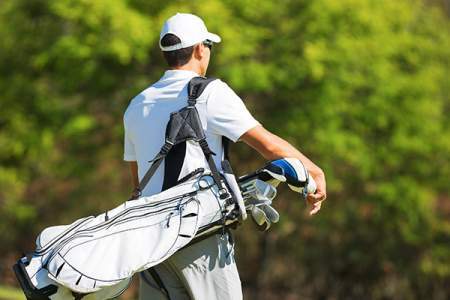 By keeping in mind a few of these tips, golfers can lower their overall pace of play, adding enjoyment for yourself, and the other players on the course. 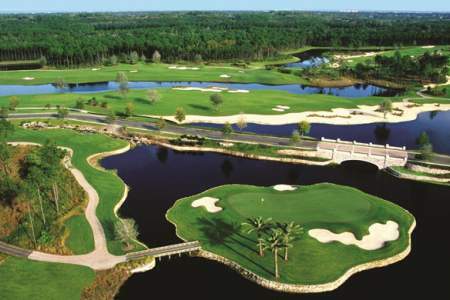 Home to two beautiful golf courses, the Jones and Hills courses, LPGA International offers a great experience for vacationing golfers looking for variety and a challenge. 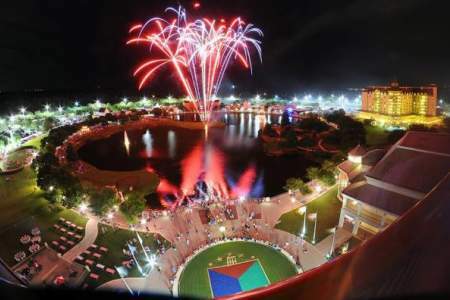 A visit to the World Golf Village in St. Augustine, Florida is a bucket list must for any golfer. 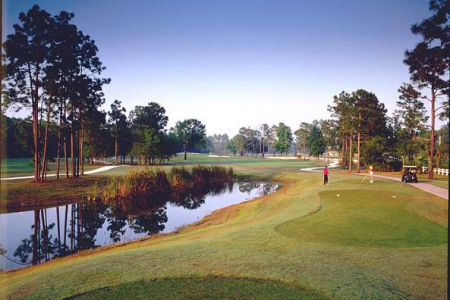 The King and Bear is one of two renowned golf courses that call the village home. When planning for that perfect family vacation, visions of white sandy beaches, clear blue water, and beautiful oceanside resorts often come to mind. 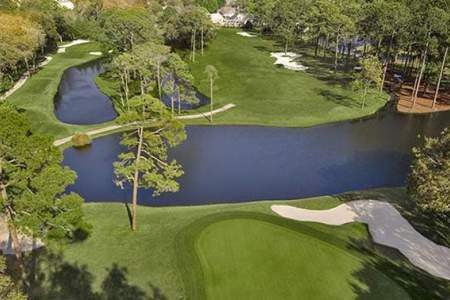 Throw in a couple of championship caliber golf courses and you have the perfect vacation for any occasion. 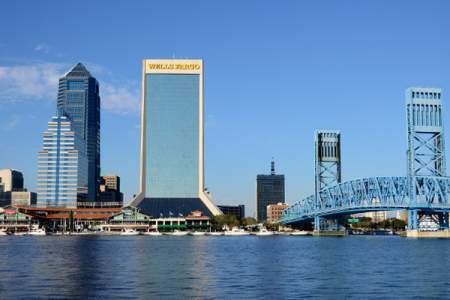 Now you might think that you’re going to have to book flights to somewhere in the Caribbean or maybe even Hawaii, but you don’t have to look any further than Florida’s First Coast for this perfect vacation destination. 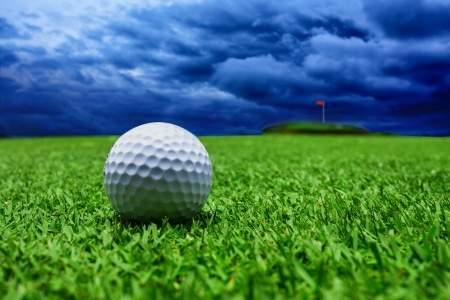 Don't let a little rain stop you from hitting the green! Here are some must-have accessories to make sure you get the most out of your game... rain or shine. 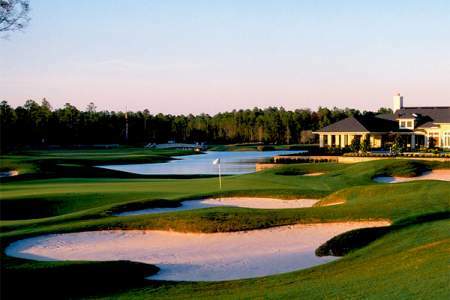 Whether you’re visiting Jacksonville, St. Augustine, or planning a golf vacation, playing the Champions Club at Julington Creek should be something to add to your list. 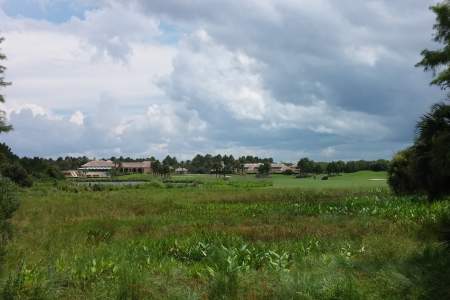 Most golfers that visit Northeast Florida go there for the warm weather, the cornucopia of golf courses and the pristine beaches. 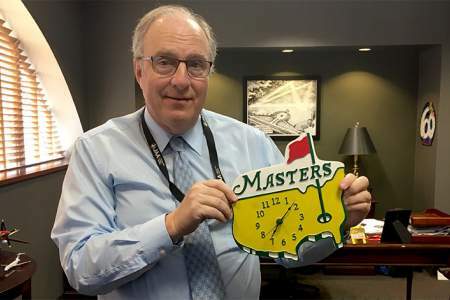 I had a different motive for my last trip to the area in April – to improve my golf game for the upcoming season. 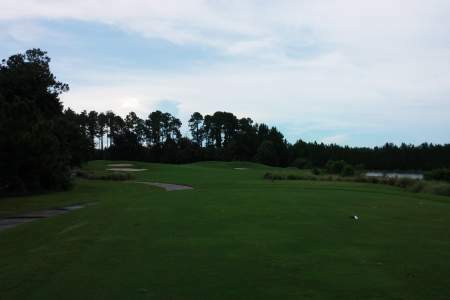 With three unique par nines and located in one of the most picturesque places on Florida's First Coast, Fernandina Beach Golf Club should be a must on your golf list. 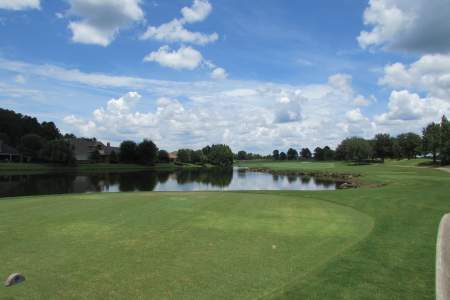 The beauty and challenge of a great course can be experienced at an affordable price when you play St. Johns Golf and Country Club. 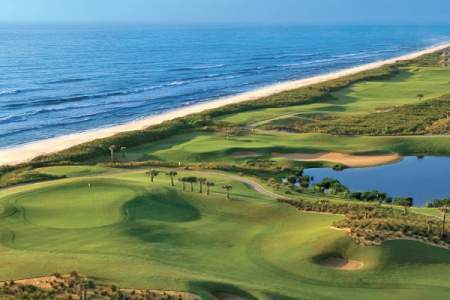 If you are considering a golf vacation in Northeast Florida, take a look at the beauty and challenge of Ponte Vedra Inn and Club's The Ocean Course.